At the International Mermaid Academy we prefer to "mermaid" in our natural environment. Most classes and adventures are held in a Lake (Canada) or Ocean (Mexico) and sometimes we hang poolside. 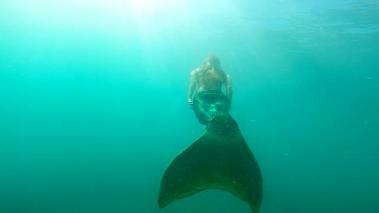 Contact us if you would like us to create a special mermaid adventure for you! Introduction to Mermaid Swim: Learn all you need to be a mermaid! Includes Photoshoot! 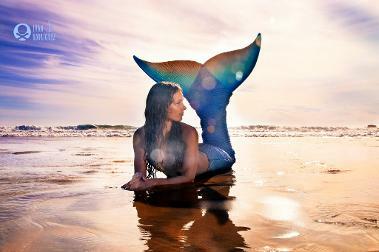 MerFit: Mermaid fitness classes. Get fit while having fun! Mermaids 101 Workshops/Camps: Learn Mermaid Myths and Legends, create Mermaid Jewellery, play mer games and more! Join one of our scheduled sessions or have us create one for your group! Mermaid Yoga Retreats: Weekend, Midweek and Week long MerFun in some of the most beautiful beach locations in the world. Mermaid Parties: Great for Bachelorettes and kids themed birthdays! Hire a Mermaid: Professional Mermaid, Gypsy MerMama, to swim in the pool at your hotel or party. Contact us for details and pricing.